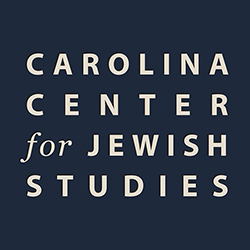 The Carolina Center for Jewish Studies co-sponsors this academic seminar with other nearby campuses and UNC Carolina Seminars, providing the local academic community with the opportunity to meet and discuss scholarly papers by each presenter. Since its inception in 2001, the NC Jewish Studies Seminars [previously called Duke-UNC Seminar on Jewish Studies] has brought together faculty, graduate students, and visiting scholars who discuss various aspects of Jewish history and culture. Monthly meetings discuss current work by either seminar members or internationally renowned guests. These seminars require pre-registration with seminar staff. Visit the seminar’s web site for information on the 2017-2018 schedule . All attendees must pre-register at least two weeks in advance.